1. Both of my children decide that painting their bodies is more fun than painting the paper sitting in front of them. 2. Painting holds their interest for about 10 minutes, and then it takes me an hour to get them all showered and clean up the mess! If the answer is yes, read on! 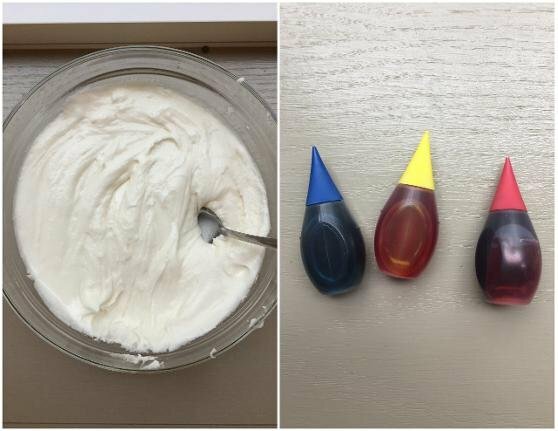 I took a color theory class in college, and one of my favorite days of the whole semester was when we got to paint our own color wheels with frosting! You start with red, yellow and blue frosting, and it's amazing how it acts just like paint! I decided this past weekend that I'd give it a whirl with my kids! I showed them a picture of the color wheel, and explained primary, secondary, and tertiary colors. Everytime we started mixing I'd have them guess what color we were going to make. It was so fun! All in all, it was a great time. We ended up eating a lot of frosting, and it was a lot less messy than using actual paints! I might have enjoyed it even more than my kids! 1. Scoop three big spoonfulls of frosting onto a paper plate. 2. Color your three piles of frosting red, yellow and blue. 3. 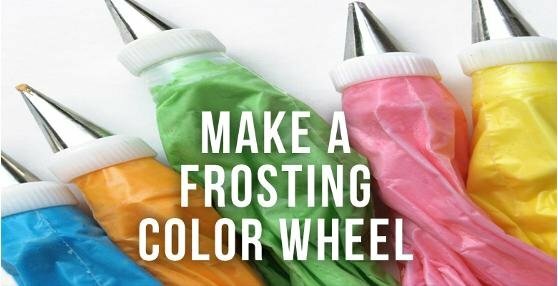 Get a paper plate to act as your "Color Wheel", and space out three little dots of your colored frosting to show the PRIMARY COLORS: red, yellow and blue. 4. 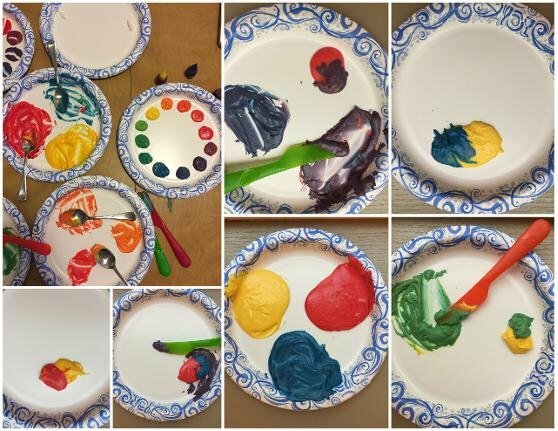 Next, get another paper plate, and start mixing your colors! Ex) Mix blue + yellow, to make green. Mix yellow and red to make orange, etc. Place a small dot of green evenly between blue and yellow on your master "Color Wheel" plate, and then keep mixing! Does this make sense? Here are some photos that show the mixing process. 5. Eventually you'll make all of the SECONDARY COLORS: green, orange and purple. Add them to the master "Color Wheel" according to where they go. 6. Keep mixing, and you'll make all of the TERTIARY COLORS: yellow-green, blue-green, blue-violet, red-violet, yellow-orange. Add them to the Primary colors and Secondary colors on your master color wheel! And there you have it! A complete color wheel! Keep it for a few days to admire, or get some graham crackers and dig in!